Summer is here! It’s my favorite season of the year and I can’t wait to go on all kinds of adventures with my kids. When I search for fun summer activities I have grand visions of elaborate imaginary play, hours of giggling and children who play independently. Most of the time my activities don’t turn out exactly as I imagine, but when I see my kids smiling and laughing it doesn’t matter. 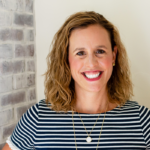 Thanks to Disney Junior for partnering with me on this post! So this summer I’m determined to embrace life and find practical ways to connect with my kids. If I’m honest, there are many days where I watch television with my kids. Especially on a Friday. 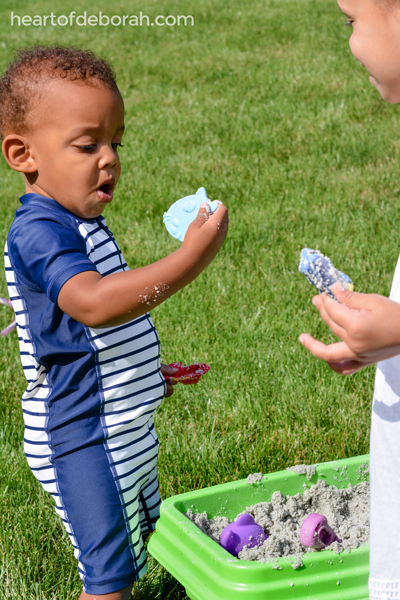 The kids are home all summer and when it’s been a long week we love to find shows that are fun, playful and family friendly. Our kids always enjoy Disney Junior and this summer we will be tuning in every FRiYAY morning for new episodes on the Disney Channel! As I was brainstorming ways we could connect our favorite shows to our playtime I quickly realized my daughter was already doing this! She loves to act out scenes of her favorite episodes. If she sees Bingo and Rolly from Puppy Dog Pals playing in the sand she wants to do it too. 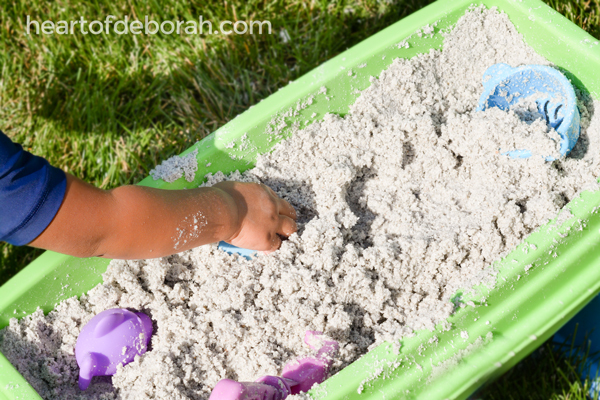 “Can we go to the beach mommy?” she asks as she pretends to shovel sand into her play bucket. Bingo and Rolly are always on an adventure! So we created our own adventure in our backyard. Izzy was so excited to meet challenges and find solutions just like the pugs on Puppy Dog Pals. 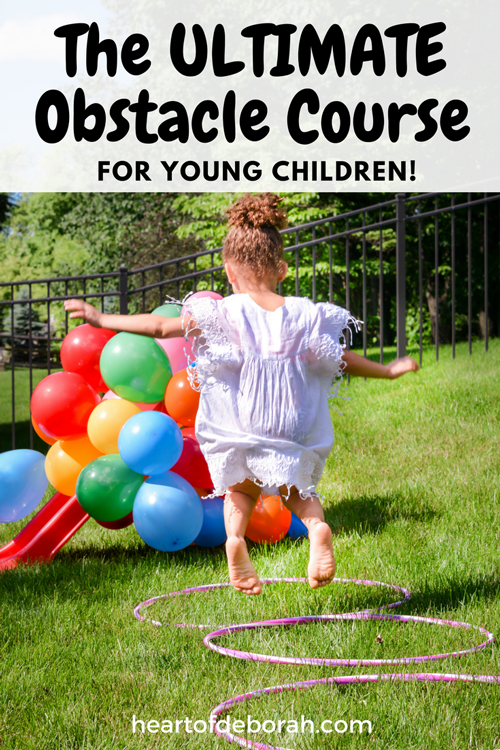 Don’t worry, this obstacle course for kids is super easy and inexpensive to make. Here is the map of our course. Izzy wanted to wear scuba goggles to pretend she was swimming through the ocean. First, the kids had to crawl through the balloon tunnel. 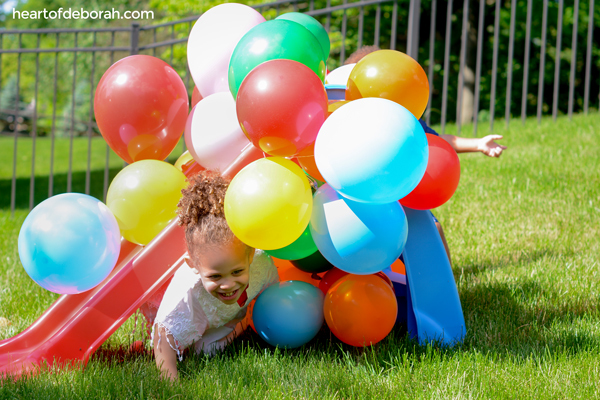 You can use a table, slide or bench and tie balloons to the top to create an obstacle to slide down or crawl through. Next, the kids jumped through hula-hoops to the sandy beach (sand box). In the sand, they had to dig to find hidden treasure. We used our beach and bath toys to hide in the sand. After they found the blue fish they could move on to the next challenge, crawling under the pool noodles! We used tent stakes to secure the noodles. The kids LOVED it! Next, the kids used their net to save the ducks from the rough ocean water (the kiddie pool). They scooped them out with the net and put them into the bucket. Finally, they had to swim through the water (crepe streamers) to dry land. 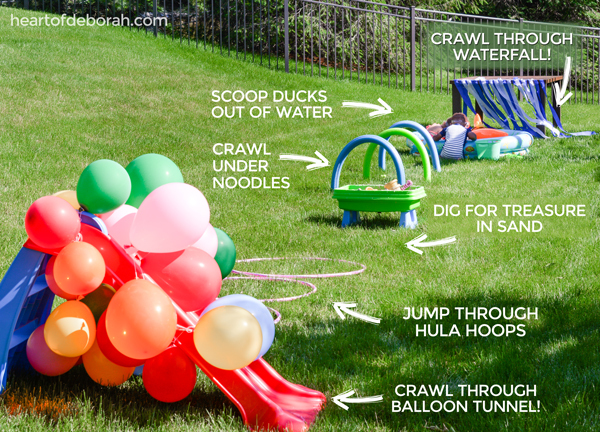 These are just a few obstacle course ideas! 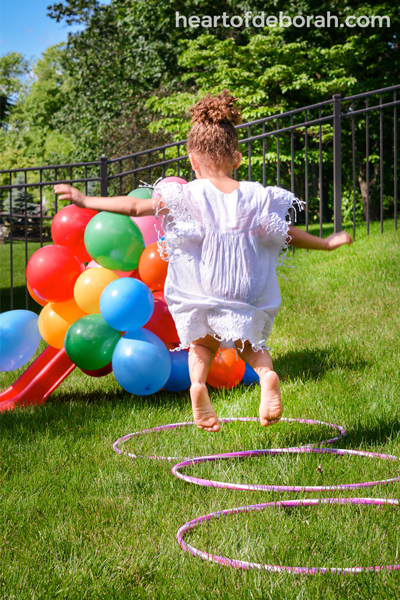 Be creative and find ways for your kids to jump, crawl and run outside. We found most of the supplies in our house and at the store for less than $10! 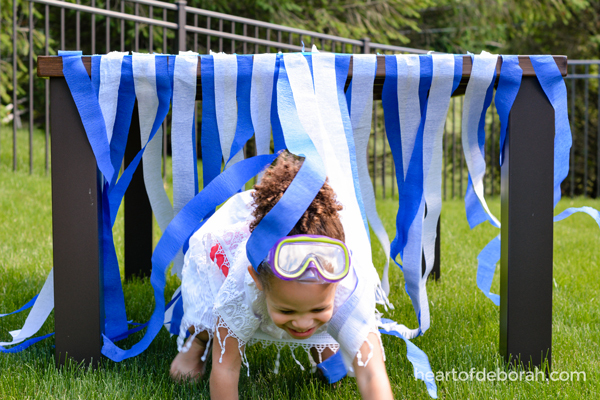 Kids love to use their imagination so your obstacle course doesn’t need to be complex to be fun. Do your kids love to act out their favorite shows? 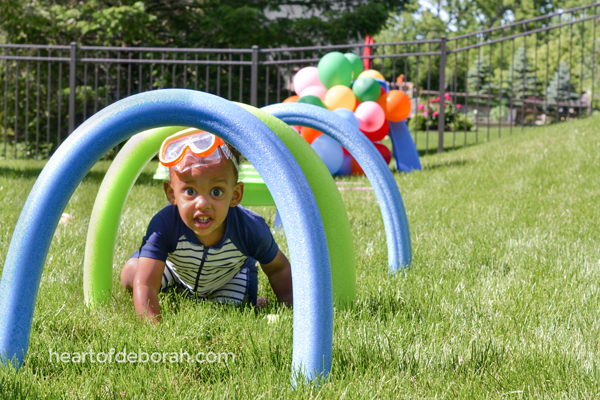 Have you ever made an obstacle course for kids before? Be sure to tune into Disney Channel FRiYAY mornings for the latest Disney Junior shows airing this summer. Follow Heart of Deborah on Instagram to see all our summer adventures! Disclosure: Thank you Disney Junior for sponsoring this conversation! 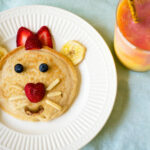 Fun Breakfast Ideas Featuring Disney’s Lion Guard! My son is just getting into Disney Jr too and I think this is such a cute idea!! 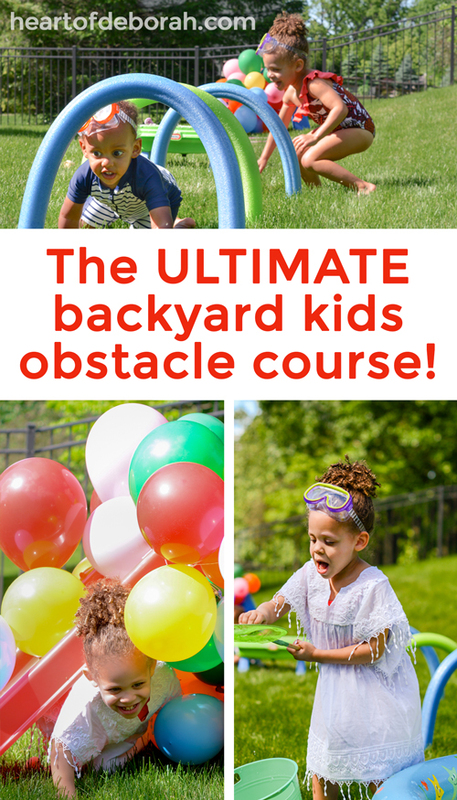 We will try this soon, I’m sure all my kids would love an obstacle course to do! This looks like so much fun!! I can only imagine how much fun your kids had. 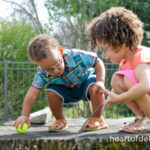 I love the idea of using the things you already have at home in a new way to help your kids have an awesome time. This is a “must do1” for my little! So much fun! I just saw the pool noodles at the Dollar Tree for $1 each. 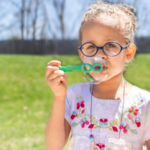 Another awesome idea here – great article and photos! Saving this idea for later when the kids are ready. Next summer! This is a great idea for summer! And it should keep the kids busy on their days outside! Thank you for sharing your creativity! This looks like so much fun! I would have loved this as a kid! 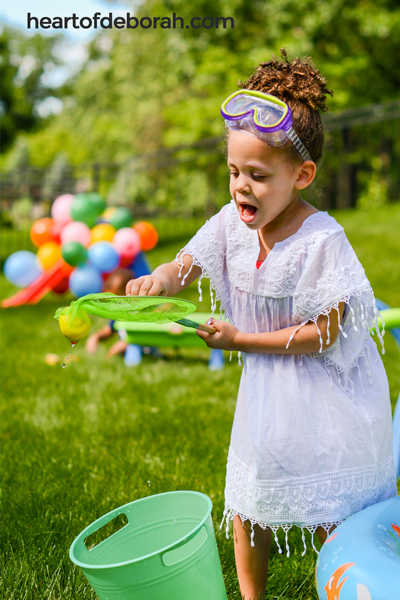 We didn’t have a swimming pool so sprinklers and water hoses filled our summers! This looks so fun and the pictures came out great!!! I would love to try something like this. I bet the kids had great naps after playing! This looks like so much fun! Kids young and old would love this!